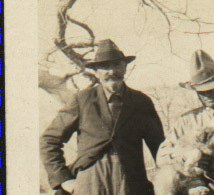 Raymond S. Harn was born circa 1878 at Maryland; according to 1880 MD Census. He was the son of Wesley Jaleel Harn and Susan Shipley. Ella Katherine Weghorst was born circa 1886 at Ohio; according to 1910 Ohio Census. She was born on 11 January 1886 at Dayton, Montgomery Co., Ohio. She married Paul Mortimore Harn, son of Theodore Columbus Harn and Cora Ellen Rust, on 30 September 1903 at Dayton, Montgomery Co., Ohio. Paul Theodore Harn was born on 29 August 1905 at Dayton, Montgomery Co., Ohio. He was the son of Paul Mortimore Harn and Ella Katherine Weghorst. Paul Theodore Harn was born circa 1906 at Ohio; according to 1910 Ohio census. He died on 10 March 1944 at Detroit, Wayne Co., Michigan, at age 38. Grace Cora Harn was born circa 1912 at Michigan; according to 1930 Michigan Census. She was born on 2 May 1916 at Detroit, Wayne Co., Michigan. She was the daughter of Paul Mortimore Harn and Ella Katherine Weghorst. Grace Cora Harn died on 19 July 1987 at Clinton, Macomb Co., Michigan, at age 71. Addie May Smith was born circa August 1866 at Iowa; Info from 1900 Kansas Census. She married Hiram Maywood Harn, son of Thornton Fleming Harn and Martha Anne Cumpston. Addie May Smith died before 1920. [S2405] BYU-Idaho Special Collections & Family History, online http://abish.byui.edu/specialCollections/famhist/Obit/searchForm.cfm, Post Register Newspaper, Idaho Falls, Idaho, 16 Jan 1987, pg A-1 & pg-12.. Hereinafter cited as Eastern Idaho Death Records. Fred Harn was born circa May 1885 at Kansas; Info from 1900 Kansas Census. He was the son of Hiram Maywood Harn and Addie May Smith. Viola Harn was born circa June 1887 at Kansas; Info from 1900 Kansas Census. She was the daughter of Hiram Maywood Harn and Addie May Smith. Ancestry.com. World War I Selective Service System Draft Registration Cards, 1917-18 (database online) Provo, UT: Ancestry.com, 2002. National Archives and Records Administration. World War I Selective Service System Draft Registration Cards, 1917-1918. M1509, 4,277 rolls. Washington, D.C.: National Archives and Records Administration. Harry Rexford Harn listed as born 19 Feb 1895 in Stockton, Kansas, current occupation as a produce merchant, as married to Vivian?, tall, slender, blue eyes and brown hair. His Social Security Number was 519-03-8513 issued in Idaho before 1951, lists born 19 Feb 1895 and died 15 Jan 1987, last residence being Dubois, Clark Co., Idaho. Evelyn Harn was born circa 1904 at Kansas; Info from 1920 Kansas Census. She was the daughter of Hiram Maywood Harn and Addie May Smith. Thelma M. Jacoby was also known as Rhoda. Her married name was Harn. [S2405] Eastern Idaho Death Records, online http://abish.byui.edu/specialCollections/famhist/Obit/searchForm.cfm, Post Register Newspaper, Idaho Falls, Idaho, 4 Dec 1987, pg B-6. Clark County Newspaper. Minnesota Department of Health. Minnesota Birth Index, 1935-2002(database online). Provo, Utah: MyFamily.com, Inc., 2004. Original data: Minnesota. Minnesota Birth Index, 1935-2002. Minnesota Department of Health, Minneapolis, Minnesota.. Hereinafter cited as Minnesota Birth Index 1935-2002. Charles F. Bang was born circa 1875 at Minnesota; info from 1930 Minnesota Census. He married Clara Kolshorn circa 1907. 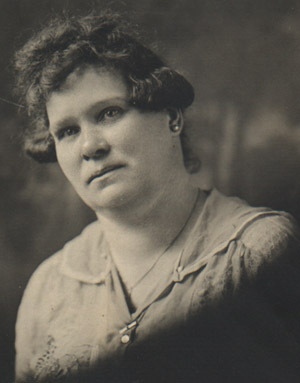 Clara Kolshorn was born circa 1877 at Minnesota; info from 1930 Minnesota Census. She married Charles F. Bang circa 1907. As of circa 1907,her married name was Bang. [S2109] Ruth Bang Obituary, Red Wing Republican Eagle Newspaper (MN), http://www.republican-eagle.com/event/obituary/id/80181/publisher_ID/16/, 21 Mar 2012, n/a. Hereinafter cited as Red Wing Republican Eagle Newspaper. Original data: State of Minnesota. Minnesota Death Index, 1908-2002. Minneapolis, MN, USA: Minnesota Department of Health.. Hereinafter cited as Minnesota, Death Index, 1908-2002. Ruth Katherine Bang, of Red Wing, died Tuesday, March 20, at St. Brigid's at Hi-Park on her 100th birthday. She was born in 1912, in Featherstone Township, the daughter of Charles and Clara (Kolshorn) Bang. She attended rural school District #20 in Hay Creek and graduated from Red Wing Central High in 1929, and from the Junior College of Red Wing Seminary as well as St. Olaf College. She also attended one year of graduate school at the University of Iowa. She worked for 35 ½ years in the home office of Bankers Life Company, now Principal Financial Group, in Des Moines, Iowa. After retirement, she returned to Red Wing in February of 1974. She was a member of St. Paul's Lutheran Church and Chapter P of PEO. She enjoyed traveling, picnics and nature-especially outings looking for wild flowers, eagles and migrating swans and geese. She is survived by her nephew and nieces, Larry (Carol) Perkins of Red Wing, Rhoda (Marlyn) Rusch of Hollister, Mo., and Carol (Vern) Draheim of Bricelyn and many grand and great-grand nieces and nephews. She was preceded in death by two sisters, Myrtle Bang and Vivian Perkins and two infant brothers. Mary Struck married male Varos. Mary Struck was born circa 1896 at New Mexico; information from 1910 New Mexico Census. She was the daughter of George Struck and Juanita Teresa Tafoya. Her married name was Varos. Mary Struck lived in May 1946 at Rock Springs, Sweetwater Co., Wyoming. Dewey Struck was born in March 1900 at New Mexico; information from 1900 New Mexico Census. He was the son of George Struck and Juanita Teresa Tafoya. [S2002] Paul Fred Warfel gravestone (1890-1979), online http://www.findagrave.com/cgi-bin/fg.cgi?page=gr&GSln=warfel&GSbyrel=all, Added to findagrave.com in 2009 by Lovell Cemetery. Son of Stewart Warfel and Hattie Edwards. Hereinafter cited as Paul Fred Warfel gravestone (1890-1979). Ancestry.com. Missouri Marriage Records, 1805-2002 (database on-line). Provo, UT, USA: Ancestry.com Operations, Inc., 2007. Original data: Missouri Marriage Records. Jefferson City, MO, USA: Missouri State Archives. Microfilm., http://www.ancestry.com, unknown repository address. Hereinafter cited as Missouri Marriage Records, 1805-2002. Source Citation: Registration State: Missouri; Registration County: St Louis; Roll: 1683864; Draft Board: 1. Original data: United States, Selective Service System. World War I Selective Service System Draft Registration Cards, 1917-1918. Washington, D.C.: National Archives and Records Administration. M1509, 4,582 rolls. Imaged from Family History Library microfilm.. Hereinafter cited as U.S., World War I Draft Registration Cards. Source Citation: Year: 1940; Census Place: Nesbit, Park, Montana; Roll: T627_2226; Page: 1B; Enumeration District: 34-28. [S2003] Madelena Flora "Lena" Parks Warfel gravestone (1893-1976), online http://www.findagrave.com/cgi-bin/fg.cgi?page=gr&GSln=warfel&GSbyrel=all, Entry added to findagrave.com in 2009 by Lovell Cemetery. Daughter of George Washington Parks and Rosa Belle Christopher. Hereinafter cited as Madelena Flora "Lena" Parks Warfel gravestone (1893-1976). Daughter of George Washington Parks and Rosa Belle Christopher. Source Citation: Place: Fresno; Date: 24 Jan 1955. Original data: State of California. California Death Index, 1940-1997. Sacramento, CA, USA: State of California Department of Health Services, Center for Health Statistics., http://www.ancestry.com, unknown repository address. Hereinafter cited as California, Death Index, 1940-1997. Source Citation: Year: 1910; Census Place: Franklin, Dent, Missouri; Roll: T624_779; Page: 11A; Enumeration District: 0024; FHL microfilm: 1374792. Harriet Edwards was the daughter of Benton Edwards and Helen Campbell.1 Harriet Edwards married James Stewart Warfel, son of James Alexander Warfel and Martle Helen Hopkins, on 2 February 1886 at Salem, Dent Co., Missouri. James Alexander Warfel was born on 1 January 1824 at Altoona, Blair Co., Pennsylvania. He married Martle Helen Hopkins. James Alexander Warfel died on 27 January 1902 at Salem, Dent Co., Missouri, at age 78. He was buried at Miner Cemetery, Salem, Dent Co., Missouri. Martle Helen Hopkins married James Alexander Warfel. 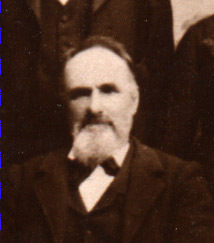 Benton Edwards married Helen Campbell. Helen Campbell married Benton Edwards. [S2004] George Washington "Barney" Parks gravestone (1875-1977), online http://www.findagrave.com/cgi-bin/fg.cgi?page=gr&GRid=39448961, Entry added to findagrave.com in 2009 by Lovell Cemetery. Preston Lee Parks (1905 - 1994). Hereinafter cited as George Washington "Barney" Parks gravestone (1875-1977). [S2005] Preston Lee Parks Gravestone (1905-1994), online http://www.findagrave.com/cgi-bin/fg.cgi?page=gr&GRid=39448969, Entry added to findagrave.com in 2009 by Lovell Cemetery.
. Hereinafter cited as Preston Lee Parks Gravestone (1905-1994)q.
Rosa Bell Christopher was born in 1881 at Missouri. She was the daughter of William T. Christopher and Nancy Ann Counts.1 Rosa Bell Christopher married George Washington Parks, son of Marshall Lafayette Parks and Tolthan Ann Vann, on 29 July 1894 at Centerville, Reynolds Co., Missouri. Rosa Bell Christopher died on 18 March 1944 at St. Louis, St. Louis Co., Missouri. Marshall Lafayette Parks married Tolthan Ann Vann on 26 December 1868.1 Marshall Lafayette Parks died on 27 October 1879 at Missouri.